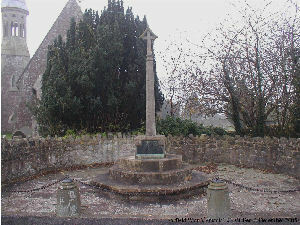 Falfield War Memorial, Gloucestershire, England. Located near the parish church east side, beside the A38. This listing covers both the First and Second World War and includes information from the Commonwealth War Graves Commission. 1901 census. James was being looked after by his aunt and uncle Mark & Elizabeth Webb in Shirehampton his father, widowed, was residing in Oldbury Lane, Oldbury on Severn, Glos.